Ackley Lake is nestled right in the heart of Montana's Big Sky Country. One glimpse and you'll easily understand how the beautiful views of the surrounding Little Belt and Snowy Mountains and rich agricultural land captured the heart of the legendary Western artist, Charlie Russell, a hundred years ago. Ackley Lake State Park offers numerous outdoor activities to include: motor boating, canoeing, water skiing, jet skiing, fishing, ice fishing, swimming, photography, birding, hiking and just relaxing. 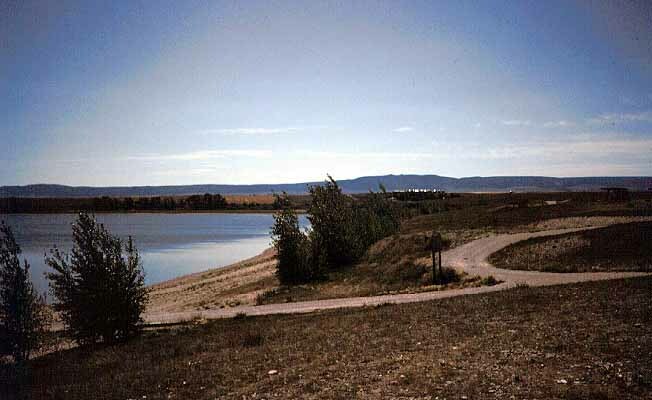 The lake is approximately 160 acres in size and the park’s land is about 160 acres. There are 15 campsites with shelters covering the picnic table and also a fire ring at each site. 3 sites do not have shelters, but do have picnic tables and fire rings. You will also find 2 vault latrines, 2 boat ramps and a seasonal boat dock. There is no potable water or electricity in the park. Non residents must pay $24 a night for camping. There is no charge for MT Residents to camp. There is no camp host present, fees must be paid upon arrival at the informational kiosk. To find Ackley Lake State Park travel 17 miles west of Lewistown on US Highway 87 to Hobson, then 5 miles south on Secondary 400, then 2 miles southwest on county road.